What is the origin of the Keeshond? This Spitz-type dog probably has its roots in the arctic region. 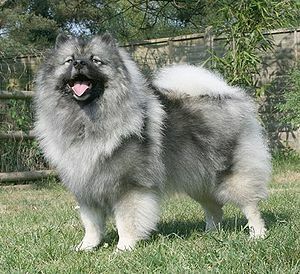 The Keeshond has been known in Holland since the 18th century. During the French Revolution, a barge dog named Kees became the symbol of the Patriot party. 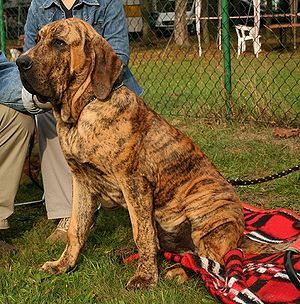 The Patriots lost and the breed was neglected until rescued in the 1920s. The Keeshond is now the national dog of Holland. What does the Keeshond look like? The Keeshond is a medium size dog, 17-19 inches tall, weighing 35-45 lbs. The head is wedge-shaped. Ears are small, triangular and carried erect. Eyes are almond-shaped. Feet are round. The tail is tightly curled, lying flat and close over the back. The magnificent coat is medium length, thick and stiff with a full undercoat. Colors are a mixture of gray, black and cream. Muzzle, ears, tail tip and lines from eye corners to ears are black. Neck ruff, shoulders, legs, feet and tail plumes are lighter. The coat needs brushing at least twice weekly, more often when shedding. What is the temperament of the Keeshond? The Keeshond is very intelligent and a quick learner. Early firm but gentle training will avoid unwanted behavior. 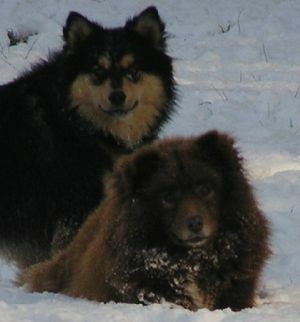 The Keeshond is a people-oriented dog and bonds very closely with its humans. They are quick to sense their human’s moods and respond to them. The Keeshond is excellent with children, especially since they love to play. They get along well with other dogs and pets. Exercise is in the form of daily walks and a romp in the fenced-in yard. The Keeshond does not do well in hot climates. What is the Keeshond used for? Originally the Keeshond was used as a barge dog. Today they have been trained as guide dogs for the blind. They compete in obedience and agility trials. Although not aggressive, the Keeshond with its loud bark, makes a good watchdog. The Keeshond is a great family companion. 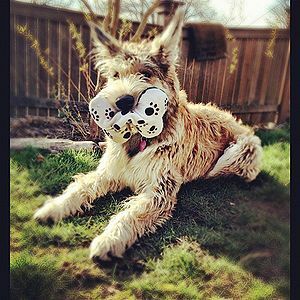 Hip dysplasia, patellar luxation, epilepsy, mitral valve defects, other heart defects, primary hyperparathyroidism, hypothyroidism, Addison’s Disease, progressive retinal atrophy, skin and coat problems.